In the world of the small sedan, there are a few factors that make one vehicle stand out from the crowd: fuel economy, price and standard features. The Toyota Corolla is one of a kind in that it offers drivers just about everything they could ask for, and when compared to other vehicles in its class, the Corolla wins out. The comparison of the 2015 Toyota Corolla vs 2015 Ford Fusion shows off the Corolla’s efficiency and high quality standard features, and drivers are able to easily see that the Corolla is the best option for drivers and passengers. It is sleek, economical, spacious, easy to handle and fun to drive. The 2015 Toyota Corolla excels over the 2015 Fusion in other ways too, such as LED daytime running lights, LED low beam headlights and an engine immobilizer. Sure, both vehicles will efficiently and safely get you from point A to point B, but wouldn’t you rather travel while turning heads because people are looking at your sweet ride? Inevitably, other drivers may copy you and also get a 2015 Toyota Corolla because of its sleek style and sporty sophistication. Don’t be offended though, because they say imitation is the greatest form of flattery. The 2015 Toyota Corolla is just one of those vehicles that you can’t help but want and we have it here for you at Attrell Toyota today! The Toyota Corolla has been around for nearly 50 years and it is still going strong with the latest updates in driver experience and efficiency. The Toyota Corolla comes standard with a 1.8L engine that makes up to 132 horsepower, which is pretty powerful for this spicy sedan. It has enough seating for five and comes standard with front-wheel drive. The 2015 Toyota Corolla Brampton ON has four main trim levels and comes in 8 different colors that range from forest green to bright white. 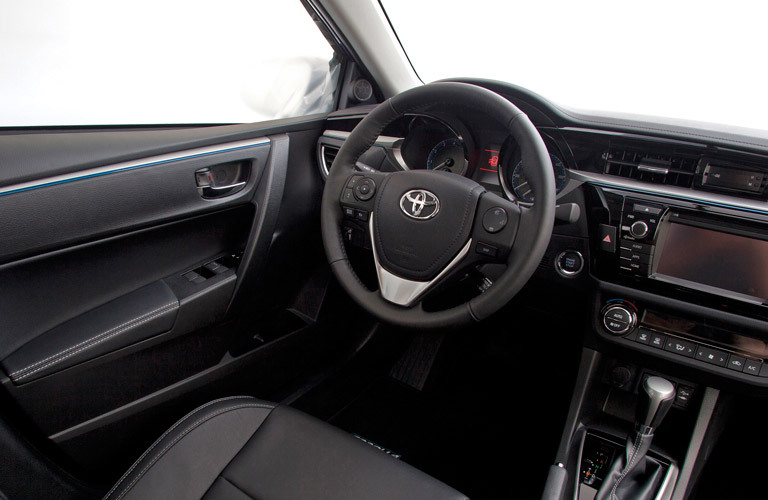 Some of the features that make the 2015 Toyota Corolla appealing to a wide variety of drivers include its bold styling and sporty front end, LED lights, an available power moonroof, automatic air conditioning, a dual-zone climate control system, heated seats, air ducts that capture dust, pollen and deodorize the cabin. Other features include steering wheel-mounted controls, a rearview backup camera, an improved audio system, an advanced audio system and more. 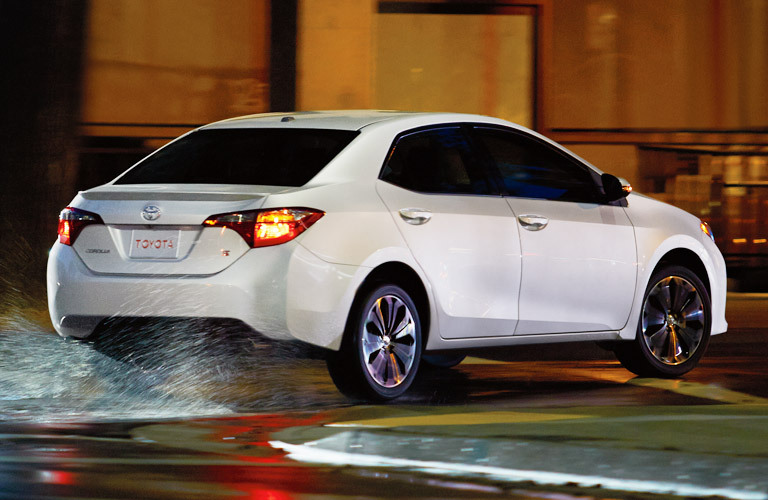 See more of the 2015 Toyota Corolla today at Attrell Toyota! **MSRP of $15,995 is for the Toyota COROLLA CE 6M. Model shown is a Toyota COROLLA S 6M with Upgrade Package (BURSEM), starting from MSRP of $21,350. MSRP does not include Freight & PDI of $1,560, Air Conditioning Charge of $100, license, insurance, registration, applicable taxes, levies and Fees. Dealer may sell for less. Your local dealer may charge additional fees.